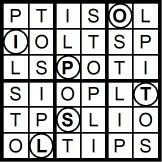 "My clothes are all wrinkled," said Tom, depressed. 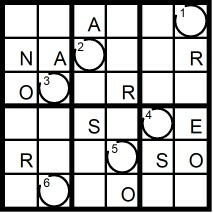 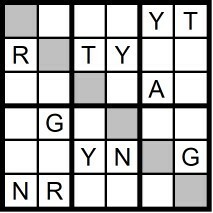 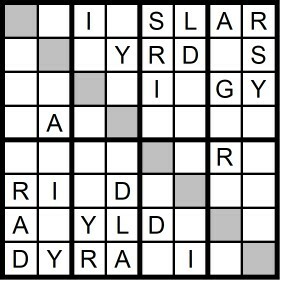 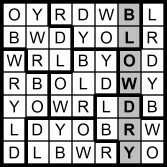 Yesterday's 5x5 Hidden Word Sudoku puzzle was based on the letters N AMYL (MANLY) and the 7x7 Hidden Word Sudoku puzzle was based on the letters LOW BYRD (BLOW-DRY). 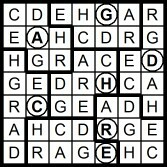 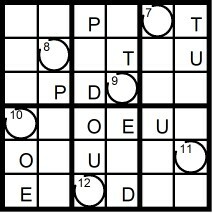 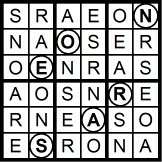 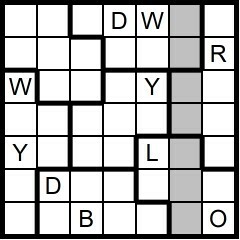 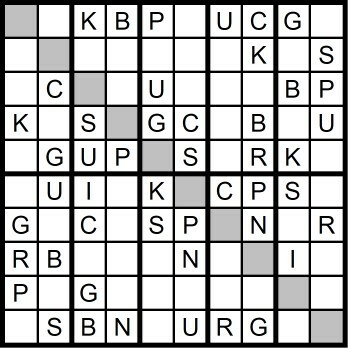 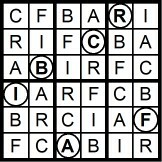 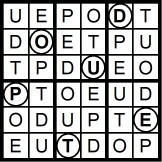 Yesterday's 10x10 Hidden Word Sudoku puzzle was based on the letters BK SPRUCING (SPRINGBUCK). 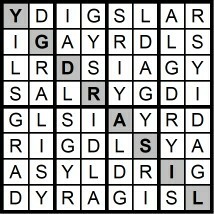 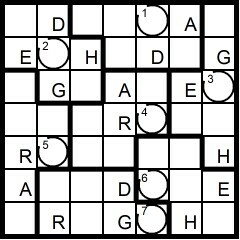 Yesterday's 8x8 Hidden Word Sudoku puzzle was based on the letters DAY GIRLS (YGDRASIL). 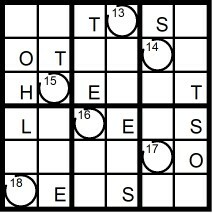 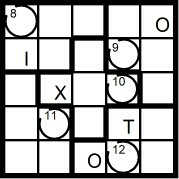 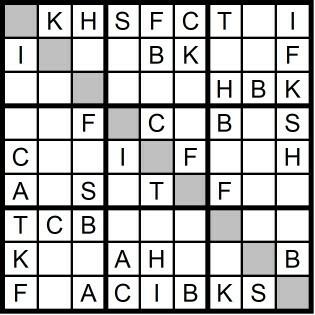 Yesterday's 9x9 Hidden Word Sudoku puzzle was based on the letters FAB KITSCH (BACKSHIFT). 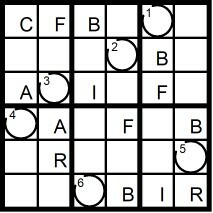 Yesterday's 4x4 Hidden Word Sudoku puzzle was based on the letters RISK (IRKS) and the 6x6 Hidden Word Sudoku puzzle was based on the letters TANGY R (GANTRY). 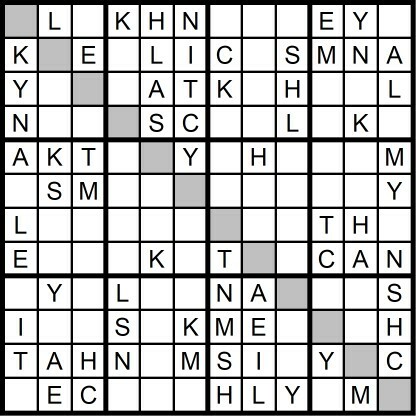 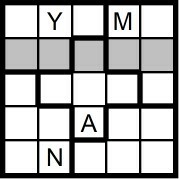 Yesterday’s Sunday Challenge 12x12 Hidden Word Sudoku Puzzle was based on the letters CATLIKE HYMNS (CHIMNEY STALK). 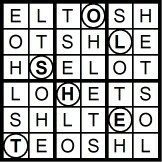 "Oh my goodness!" 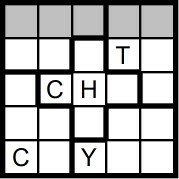 said Tom graciously. 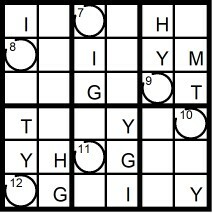 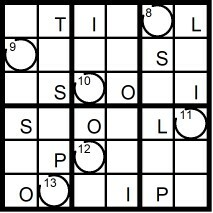 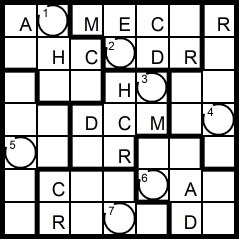 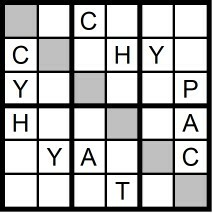 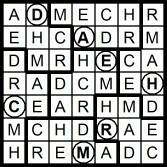 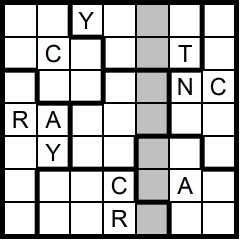 Yesterday's 5x5 Hidden Word Sudoku puzzle was based on the letters CITY H (ITCHY) and the 7x7 Hidden Word Sudoku puzzle was based on the letters TY RANCH (CHANTRY).